Even casual viewers of Serie A recently must have noticed a trend in Benevento games. Their last four matches have produced 21 goals as they accept the fact that relegation is assured and start to enjoy themselves. The bottom of the table team battled hard to a draw against Sassuolo last time, and while they'll probably find Atalanta too good for them, I think that it will be fun to watch. 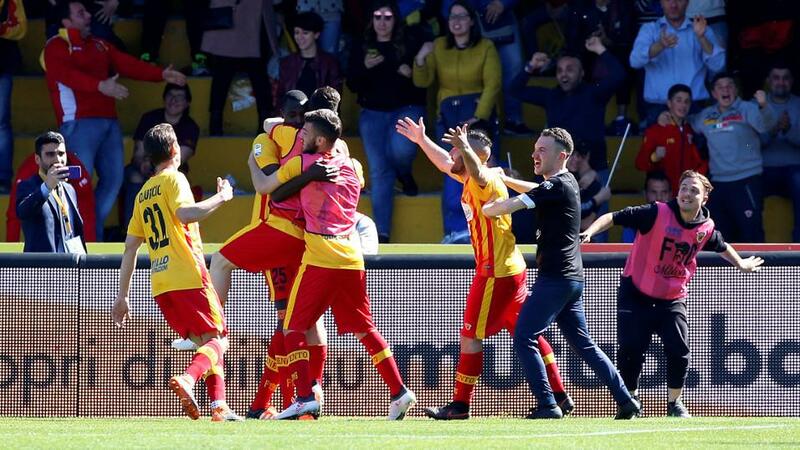 Benevento aren't a bad side, but it's a lack of concentration that has killed them this season, and they've thrown away plenty of games that they ought to have won. If you're good enough to worry Juventus as much as Roberto De Zerbi's team did, then you shouldn't be cut adrift at the foot of Serie A.
Cheick Diabate is on an incredible run of form, having scored twice in each of his last three Serie A games, and expect him to be the main threat here. Over 3.5 goals look big at around the [2.9] mark, and I expect an Atalanta win at around [1.7], but not before life has been made difficult for them. Andrea Petagna returns from suspension for the visitors, but Leonardo Spinazzola and Josip Ilicic are still nursing injuries with Rafael Toloi banned in defence. It looks like it's going to be a thrilling finish at the bottom of the Serie A table, and two teams that are right in the relegation mix face each other in Ferrara on Wednesday night. SPAL have now put together a run of seven games without defeat, but Leonardo Semplici's team have drawn their last five, and they need to grab a win from somewhere to move them further clear of the bottom three. SPAL's sprit has been unquestionable, and they showed enough in their fighting 0-0 draw at Fiorentina at the weekend to suggest that they should be odds on to beat a poor Chievo side. The Flying Donkeys have won only twice since November, and are currently hurtling towards Serie B, with something different needed to halt their slide. Chievo did relatively well to get a draw against Torino at the weekend, but they didn't threaten, and Rolando Maran is hanging on to his job by a thread. SPAL will be well supported for this, they do have an attacking threat in the shape of Mirco Antenucci and Alberto Paloschi, and I think that they'll build on that result in Florence. The injury crisis didn't seem to do them too much harm last week, with Jasmin Kurtic, Alberto Grassi and Pasquale Schiattarella still probably out of action. Emanuele Giaccherini returns from his ban to bolster Chievo's attacking options. Semplici is a good guy who is constantly innovating, and the freshness that he manages to keep amongst this motivated set of players might just be enough to save them. They're [2.26] to get the win against their fellow strugglers and that looks like a price worth taking. After being pegged back by SPAL, Fiorentina now face the infinitely tougher task of a visit from Lazio, and after La Viola's run of six consecutive wins was brought to an end at the weekend, they may just be facing worse on Wednesday. Fiorentina's defence has been the bedrock of their recent run, and they've only conceded one goal in their last seven games, but they face a serious threat from a Lazio team that performed well in the derby against Roma, and who rarely draw a blank for two consecutive matches. I was surprised at how comfortably SPAL kept Stefano Pioli's team out at the weekend: Giovanni Simeone missed two excellent chances, but apart from that, they didn't offer much, and looked vulnerable defensively against a team with only a tiny proportion of Lazio's quality. Fiorentina's key man is Federico Chiesa, and if Simone Inzaghi can make sure that he is kept quiet then I can see his team winning this comfortably. It was important that Lazio got over that horror night against Salzburg as quickly as possible and the performance against Roma did that for them. Now their push for third place continues. Stefan Radu is suspended and Patric injured, so Bastos is likely to step in to defence. Football Bet of the Day: Ave some of that!